Every personal injury claim is handled a bit differently, with some settled without the assistance of lawyers, some going back and forth in negotiations several times before lawyers can come to an agreement, and some requiring several rounds of litigation before a judge and jury can come to a decision. How a case is settled depends on a number of factors, including but not limited to the evidence available, the experience of each party’s lawyer, and the extent of damages, which may include bodily injuries and damages to personal property. If you’ve been injured in an accident in Miami, you may be wondering what is the best way to settle your claim, especially if the other party’s insurance company has already made a settlement offer. At Spencer Morgan Law, it is our goal to advise clients of their options. While our personal injury attorneys cannot say for sure what is the best path to obtaining a settlement without first reviewing the facts of the case, we can say that there are pros and cons to settling out of court. Guaranteed Settlement: If the defendant’s insurance company has already offered a settlement, the worst that can happen without going to trial is that your lawyer is not able to negotiate a higher amount. 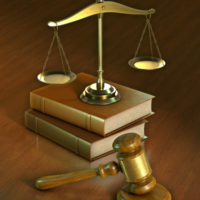 If you go to trial, though, you risk losing the entire settlement if the judge and jury vote in the defendant’s favor. Less Stress: When you settle out of court, you do not have to worry about appearing in front of strangers or about what you will say in your testimony. You can rest easy knowing that you will at least receive some sort of compensation without having to put forth too much effort. Time: Settling out of court can save you months or even years of your time. When a case goes to trial, it is because both parties are convinced that they are in the right, which means that both are going to pull out all the stops in court. This may mean several appearances in court, which you will have to be sure that you are available for. Predictable: When you settle out of court, you know what to expect. However, even the most seasoned attorneys can be surprised by jury verdicts, which makes going to trial all the more stressful. Finality: Unlike judge and jury decisions, settlements made out of court cannot be appealed, as you are required to agree to a settlement before your claim can be finalized. Lack of Guilt: When a claim is settled out of court, it means that neither party admitted to any wrongdoing and therefore, that neither party can be found “guilty.” Settling out of court essentially allows the other party to pay for his or her misconduct without assuming legal liability. Less Award Money: Oftentimes, an insurance company will try to settle out of court if it knows that its client was in the wrong, or if it knows that you stand a good chance of winning a larger sum of money by going to trial. This is where it comes in handy to have an experienced Miami personal injury attorney on your side. A knowledgeable attorney can assess the value of your claim and advise you on which course of action would yield the greatest monetary outcome. No Punitive Damages: If a defendant is found guilty of gross negligence or intentional misconduct, a judge might award the plaintiff punitive damages as a form of punishment, as well as non-economic damages, such as compensation for emotional pain and suffering (Florida Statute 768.72). When you settle out of court, you will not receive punitive damages. The best thing you can do if you are not sure whether or not you have been offered a fair settlement is to consult with a personal injury attorney in Miami who has experience in valuing cases and obtaining decent outcomes for his or her clients. If you want to ensure the best possible outcome for your case, reach out to the team at Spencer Morgan Law via phone or email to schedule a free and private consultation today.